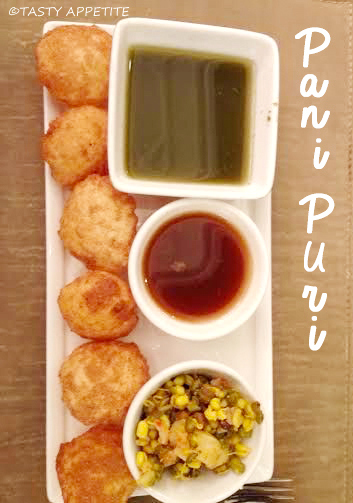 Hy Friends, here I am sharing with you a most favorite chaat Pani Puri recipe. We all love this yummy street food that tastes spicy and sweet, right? Making these at home is absolutely easy. 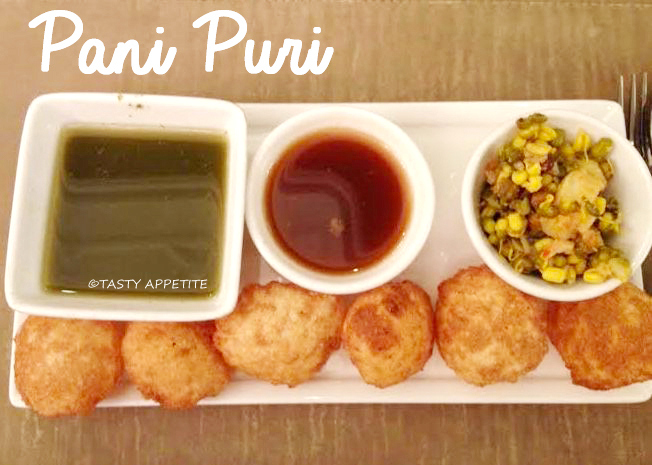 Check out this quick & easy recipe and enjoy the hot and tangy Pani puri - just the way..
1. In a mixing bowl, add maida flour, rava/sooji/semolina, baking pwd, salt and mix. 2. Sprinkle water little by little and knead it to soft dough. The consistency of the dough should be little stiff than the regular roti dough. 3. Cover the dough and let it rest for 20 mins. 4. Meanwhile lets prepare the mint and tamarind chutney. 5. Click here to view the detailed easy stepwise recipe to prepare the chat chutneys. 6. Lets prepare the stuffing next. 7. Wash and cook potatoes till soft. 8. Peel and mash it. 9. In a pan heat a tsp of oil. 10. Add roasted cumin pwd, chat masala pwd, amchur pwd, salt and saute. 13. Simmer the flame and allow the mixture cook for 5 mins. 14. Turn off flame. Squeeze few drops of lemon juice. 15. Sprinkle freshly chopped coriander leaves. 16. Lipsmacking stuffing is ready. 17. Now knead the dough again for a minute. 18. Pinch out a lemon sized ball and roll it to big round discs. 19. With a small cup or lid press down to get small equal sized circles. 20. Heat oil in a frypan. 21. Drop the circles in the hot oil carefully. 22. Take care not to overcrowd the oil. 23. The puris should puff up and turn golden and crisp on both sides. 24. Drain them out and place in kitchen paper to remove excess oil. 25. Poke a small hole in the centre of the puris. 26. Add a tsp of potato stuffing inside. 27. Add a little of sweet tamarind chutney and green chutney. 28. Gulp it down immediately else the puris turn soggy. 29. 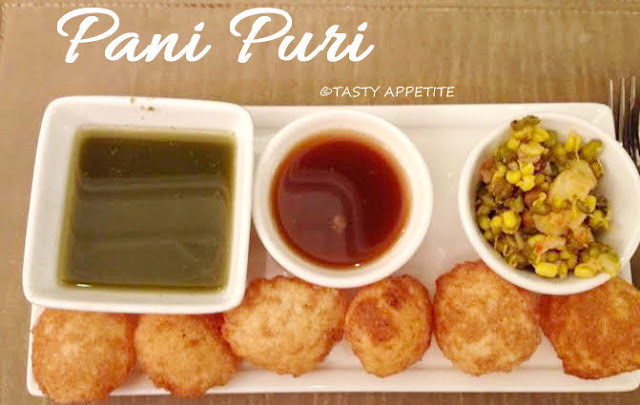 Enjoy the yummy pani puri with your evening cup of coffe or tea. I like it sweet and tangy! It's a great snack for any season.